Home » Health » Care and Well-being » Bath Time » Spas for Pets, Now They Can Relax Too! Spas for Pets, Now They Can Relax Too! Pets are like members of our families, and we want them to be able to join all of our activities. Today we'll tell you all about spas for pets. As pets become more and more a part of our families, we like to include them in more and more of our activities. 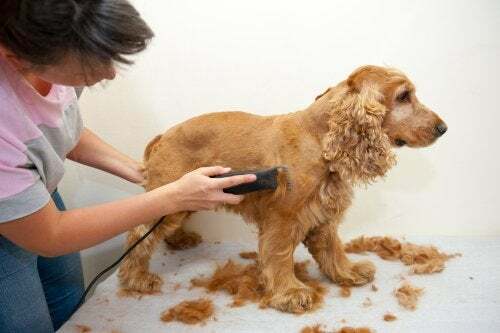 For example, taking them shopping, taking them to the hairdresser’s, going on cruises and now, there are even spas for pets! 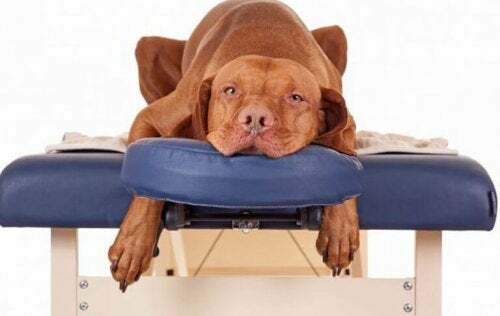 Remember, our pets can also get stressed out, so they also need special pampering to help them relax. That’s why more and more spas for pets are popping up. Would you like to know where you can find them? Well, we’ll tell you everything about them in this article. Take a look! Everyone who has pets would agree that we want the best for them, as long as we can afford it, of course. If you can, don’t hesitate to take your furry friend to a spa as you’ll both have an unforgettable experience. Also, after a spa session, you’ll be so relaxed, you won’t even think about the money. Thalassotherapy. This spa treatment for pets uses seaweed and seawater. They apply it as a balm and it prevents bacteria and diseases. Japanese bamboo. It cleanses, deodorizes and prevents bacteria and diseases. Like thalassotherapy, the specialists will also apply this treatment as a balm. And, in addition to being beneficial for their health, hair, and skin, it will also be very enjoyable. Aromatic baths. Because of their strong olfactory senses, aromatic baths are great for pets. The purpose of these baths is to relax them through their sense of smell. So, since their nose is so sensitive, they will be able to relax more quickly and more deeply. Spa circuit for dogs. Yes, the makers of these spas have kept every possible detail in mind, including the circuits that are also available in human spas. In these circuits, there are some special services, like being washed in a soundproof whirlpool cabin. Then, there’s an exfoliating bath that opens their pores and it ends with an invigorating one. Just think, your pet will look brand new after going through the circuit. Ozone bath. This is also new to human spas. Now dog lovers can offer the same service to their pets. They’ll get an ozone bath that will oxygenate their skin and kill any bacteria or parasite that your dog might have. Then, they’ll dry him in a closed cabin. To finish, your dog will be wrapped in a towel. This will keep him from having to be dried with a hand dryer, which he probably hates. Cat beauty session. Dogs aren’t the only ones that can go to spas for pets. Cats can also enjoy hairdressing and beauty sessions that will leave them beautiful and gleaming. Bathing your cat can be very difficult, but the specialists in these centers are well trained in this task. So, this experience will actually be pleasurable for your cat. Regardless of what kind of pet you bring to the spa, you can also get him some acupuncture treatments. And, of course, they’ll take great care of him from beginning to the end of the session. At the end of the session, they’ll give him a special treat, something like wine or beer for cats and dogs. This will end their circuit with luxury and ostentation. Where can I find spas for pets? Even if you’ve never seen a pet spa before, you should know that they’re everywhere. To find one, you just have to go online and look for one near you. There are some high-end hotels that have them and there are also veterinarians who collaborate with them. So, it’s also a great idea to ask your pet’s specialist, that may be the fastest way to find a great one. If you can afford it, there are some human spas that also have an animal section. Don’t miss out on this unique opportunity to make your pet happier and to share a beautiful and relaxing experience with him. Do You Want to Bring Your Dog to Your Wedding? As everyone knows, cats are very clean animals. It’s also well-known that cats are afraid of water. So today, let’s take a look at how to bathe your cat safely. Why Do Wet Dogs Shake Off? 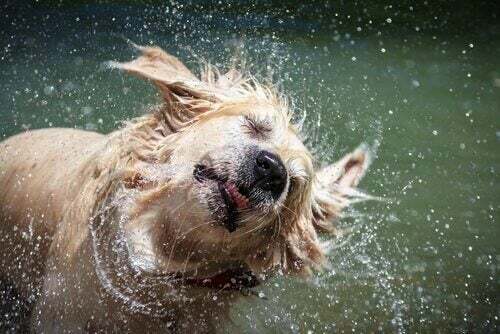 According to different studies, wet dogs are able to remove 70% of the water from their coat with just a shake. When a dog shakes it can last between three to four seconds.